In the waves of steam and machinery, who could achieve extraordinary? In the fogs of history and darkness, who was whispering? I woke up from the realm of mysteries and opened my eyes to the world. Firearms, cannons, battleships, airships, and difference machines. Potions, divination, curses, hanged-man, and sealed artifacts… The lights shone brightly, yet the secrets of the world were never far away. This was a legend of the “fool”. I'd recommend this one. Almost missed my attention due to the steampunk tag, but I don't really think that fits. First volume solid gold, and you'll be a fan by the end of it. Favorite web novel by this author. I like the earlier volumes. Slight spoilers on how the story progresses at parts of his potion path thing. Seer. (5/5) Solid story here, tons to love. Clown (4/5), pretty neat some cool abilities, allows for MC to participate in book events. Magician (4/5) - cool because of detective elements around this arch, but lack of supporting characters that you'd care deeply about at this point, you see the MC start being more of a loner. Faceless Man (3/5) - not huge on this one, I feel like he could have switched faces more often for a better story, plot at this point is not as interesting as earlier elements of book. Main grip is at this point he's kind of solo, which I dislike. Puppet Master - haven't read up to this point, but I'm hyped for it. Seems like a lot of plot is being set up so this role can shine. I am a Chinese American, I thought it did be fun to read this great book again in English, but then I saw some people in the comments saying this novel is very draggy, slow-paced, and not focused on development. And it's the author's fault because he focuses on word count, blah blah blah. Let's keep something in mind here: Chinese and English are two entirely different languages! If you ever translated English into Chinese accurately, you will find that the same sentence in Chinese is at most half of the... more>> length of the original sentence in English. This is because of one to two characters in Chinese represents one word and Chinese don't need spaces. There is even a type of word called "ChenYu" that is all 4 characters long but their representation could vary from a vivid description to a fable. These differences turned a good dose of engaging imagery for Chinese speakers into long, boring, and unnecessary description to English speakers. In conclusion, it's not the author's fault. If you want to read a good Chinese novel you either get used to the pace or learn Chinese. The 1st actual paragraph in c1: The bizarre dreamland full of whispers quickly shattered. Zhou Mingrui, who was asleep, felt that his head had a painful ache as if he had been slammed with a pole. No, it was more like a sharp object piercing through his temple with a stirring action! You may find out by the punctuations that a paragraph in English is only a sentence in Chinese! It would be considered a run-on-sentence in English grammar but still much shorter. In the original novel's comments, no one complained about the novel being filled with fillers. Not even in c1, which is probably the most descriptive chapter. I'm utterly shocked at how a good novel like this has such a low rating, even more so, because this novel is from the same author who wrote novels like Throne of Magical Aracania and Martial Arts Master. This novel is about abut a guy who reincarnates in a world that is similar to Britain in the 19. Century. The protagonist reincarnated into someone who died under extremely weird circumstances and is trying to find out what exactly happened. Upon investigating he stumbles across extraordinary and... more>> magical forces that have only been heard about in legends and faces many dangers, yet he still keeps going to chase after the truth and learn more about those extraordinary powers. misunderstanding : don't get the wrong idea about the misunderstanding here, this is not the kind of misunderstanding you usually find in other novels. I'm not going to say anything about misunderstanding here because it's very funny. In fact it's mc's plan to get "them" misunderstand him. amazing side characters : the characters here actually have personality, and my favorites are "the moon" and "justice"
Tarot gathering : the tarot gathering is always be my favorite part of the novel. Because most of the comedies happen in tarot gathering and for those who dislike misunderstanding, rejoice because the misunderstandings only happen in tarot gathering. And each member have different personality. This novel is probably one of the best fantasy mistery novel that i've ever read (well im a scaredy cat so I dont really read mistery/horror/thriller novel lol). The MC is quite shameless, witty, and not OP. The worldbuilding is very detailed. The side characters arent just an empty follower of MC. 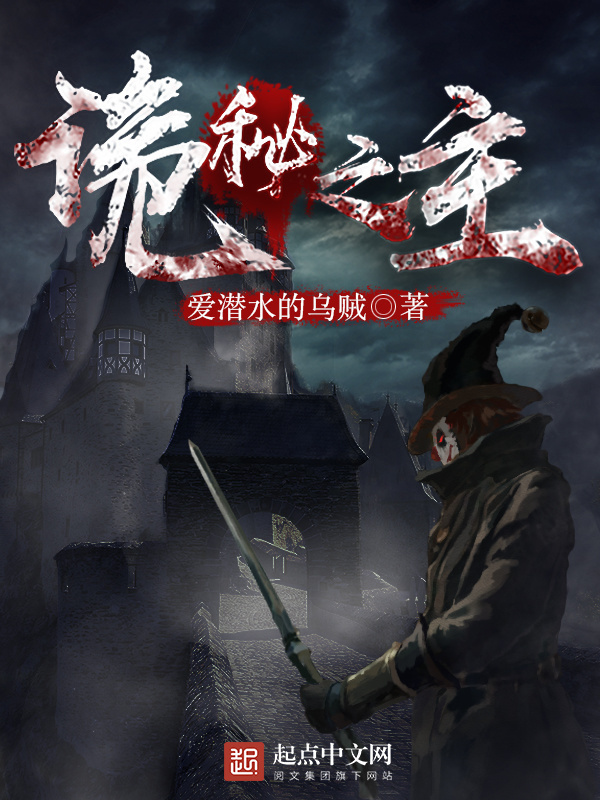 The enemies arent too stupid like typical CN novel (which is very nice~ so tired of faceslapping plot -_-). Opinions might change as I progress further into the story. I'm shocked to find a webnovel of this quality. Truly, a rare gem. The worldbuilding is detailed. The writer's (and the translator's) depiction of each situations left me with a very vivid image of each of the scenes and leave me wanting for more!—something I mostly only expected in paperback novels. This novel is an isekai. An isekai with a very strong gothic and steampunk theme, with mists and guns and clockwork machines and curses and secret occult societies mingled... more>> together in all of its glory. Imagine the somber vibe of Europe in the heights of 18th to early 20th century. with blood oozing from an apparently self-inflicted headshot wound. There's a reason of why our MC is transmigrated, one that's going to be answered as we dwelve further and further into the story. Granted, from @Night Ghost's review, the first 60 chapters of the story is merely an "introduction" to help us to get attached to the characters and familiarized ourselves with the world; A groundwork for the upcoming actions. Some people feel that it's a filler.... But actually, it's a necessary building blocks to established the stories. It's acceptable, it's normal, it's common sense. Most detective novels have these agonizingly slow "fillers" to establish a sense of urgency and mysteries. It is one of the most interesting (and, sadly, most underrated) novels out there. I started reading it because of the multiple great reviews and I am not disappointed. It's true that the pace is slow in the beginning, but the author is setting the world and it is done very masterfully. I admit that I skipped some unimportant bits related to the world's history, however, that didn't impact my reading experience much as I still gradually immersed myself into the world. Those who read those bits, I suspect will gain... more>> some clues into the future developments. The characters have their own personalities and are not there just to cheer MC on, like in many of other novels. The style reminds me a bit of Release that witch, because one in 20 chapters will have other peoples perspectives (but they don't get annoying and are very brief). this is one of the best novel I've read till now. The author combined elements like steampunk, scp, Cthulhu together using a ease tone (comparing to many other cthulhu novels). from a profane stone, human beings found ways to create potions made from other mysterious creatures' body parts to make themselves evolve into stronger and incredible creatures, however the side effects of the potions make people keep hearing noise and sound from the mystery and would corrupt and turn into monsters. This is a thrilling supernatural steampunk mystery that starts a bit slow wit the world-building but then really spins it's story well. Although I'm still in the beginning of the story, the suspense has built up enough to put me on the edge of my seat. I am looking forward to the cases the MC will be investigating. I don't know what some of you are on about. It's not filler, it's detail. Books aren't just beginning middle end bam done. It builds. It's a mystery/detective novel. It's slow, but that's a good thing. The problem with this novel is the author, is focused on word count and not actual development. While actual development does happen, it comes at a uncomfortable pace after a lull in chapters where we as the reader are dragged through detailed explanations for 10+ chapters before seeing an actual advancement in the story which takes away from the story itself. Everything the user Night Ghost said in his review is true! This is so far the best transmigration novel I've read (read the latest chapter thru mtl). The start of the story might be slow paced and considered as boring but they are relevant to the future events, explaining why the MC encountered those people/events. Overall, I recommend you to read this story as it's so far one of the best novel out there. Best novel I ever read. Story outline is quiet fantastic you read story and fill you become part of story. This novel lakes useless tragedy and harem where every chick fall in love with MC for no reason. Concept of potion makes this story easily conjure to real world. At present this novel is my favourite one. Why ? Let me describe few things. There is no harem yet this novel is very good. MC reincarnated in another world and start his journey in the filed of mysteries. The novel is well written and the author and translator both update 2-3 chapters every single day which is great. I love this novel, the supernatural part reminds me of the scp foundation, especialy with the artefacts. The writing is excellent and the novel gets better as the story goes on. This is a novel that tells weak to strong different from most other novels. Without excessive cheating and combined with the MC intelligence in hiding his secrets and causing misunderstandings well. This is one of the most slow-paced and boring novels I've read. The atmosphere is casual and entire chapters are spent on trivial things like looking for an apartment. The main character doesn't seem to be in any danger and it's like he's taking a stroll in the park. This is a great novel that is extremely intriguing. Not saying it's the G.O.A.T or anything, but don't pass this novel up without giving it a try. the main character becomes a "seer" meaning he can see the future. Right now it's not so straight forward and he has to advance in his powers. It will be interesting to see if he actually gets combat powers with the seer role he has chosen. Decent novel so far. It has unique power levels/power (one of the only reasons I am actually reading the novel). A average MC. And some okay side characters. Nothing too exciting has happened in the chapters I have read. We are still getting introduced towards the story I feel like, so I am expecting it to get better in the future chapters. One thing that I don't like about the story so far, is that there are alot.. I mean alot of fillers in most of the chapters. I understand that... more>> the author is trying to help us understand his world better (or just trying to pad his word count) but it just becomes boring and uninteresting after a while. The chapters are long, but so are the fillers/fluffs. Sometimes I can skip like 30-40% of the chapter and still understand whats happening. At the beginning of the story when MC first comes into this world, we see him exploring the outside world, buying food and so on... I can understand this much, but afterwards the author goes into further details about how the MC cooks the food, how its made and how good the food he cooked is and so on for almost half the chapter, explaining it in details which isnt bad per say but I just dont see how this progresses the story. This whole part can be skipped and you would still know that the MC cooked food, and it was really delicious. As of where I am now, I love it! The amount of care and world building put into it is amazing for a webnovel. It does feel like I am reading a western mystery novel. The mixture of steampunk, high fantasy, magical powers and turn of century detective agency is very promising. I am praying that it will continue to amaze me in the coming chapters! He is cautious and street smart, but he doesn’t know everything so sometimes he had to lie through his teeth in desperate attempt to dig himself out of a predicament. I like it as it shows he is just like us, an everyday man.. Also a non OP MC is always a plus in my book.